2013-05-24 - Burkesville, KY - Photo from Mike Watson. 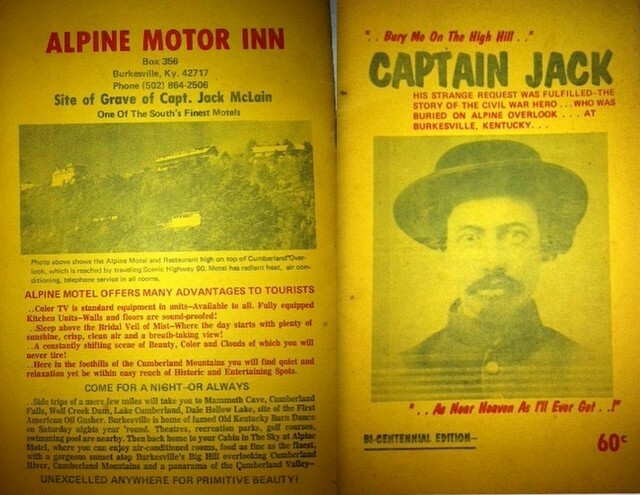 "Captain Jack" is the title of a booklet printed in Burkesville in 1974 as part of the Bicentennial. The cover contains a photograph of Captain McLain. I consider it a great read on the subject of the life and death of this colorful figure.